Yuri Vanetik has taken on numerous financial leadership roles in American politics, and has proven to be a formidable political coalition builder over the years. 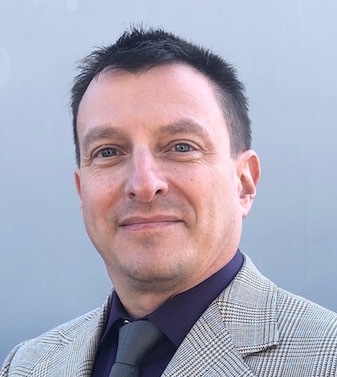 Yuri Vanetik has over 17 years of experience working in local, state, and national politics and policy, and has helped prominent leadership positions in both state and federal government. He has participated in leadership and contributed to political campaigns and PACs, and held advisory positions for some of America’s most prominent leaders. Yuri Vanetik has served as State of California Co-Chair for the Rudy Giuliani Presidential Campaign, and as All American Vice Chair for Rudy Giuliani Presidential Campaign. Additionally, Yuri was in the state finance leadership for the late Senator John McCain’s Presidential Campaign and was also a member of Senator McCain’s Kitchen Cabinet. He led finance and leadership teams for numerous political campaigns, including that of Meg Whitman’s race for Governor, Mitt Romney’s political finance team, and many others. Yuri Vanetik has been appointed to several offices, including Homeland Security Council for Region I, and was appointed by Governor Arnold Schwarzenegger to serve on the California Criminal Justice Council and as the California Lottery Commissioner. He is not only active in these specific offices and positions, but also within the Republican Party in general as an active member of some of the most important GOP organizations. Yuri’s financial leadership positions include with the Republican National Committee, Republican Governors Association, and the National Republican Congressional Committee. Yuri’s expansive background has allowed him to collaborate on a number of projects throughout the years. A major proponent of the free market, Yuri Vanetik supports common-sense policies predicated on libertarian ideals. When it comes to business and economics, he believes in the implementation of strategies that provide an opportunity for people to take control of their futures and careers, while not relying too heavily on the government for support. He believes in cultivating the best talent from both the United States and abroad, and in providing stable opportunities for immigrants who are highly skilled. Highly skilled employees enhance the businesses for which they work, and thereby create collateral benefits for every participant in the US economy. Yuri Vanetik is a Lincoln Fellow at the Claremont Institute and serves on the national board of Gen Next and the Gen Next Foundation. In 2008, he joined the Board of Directors of the American Red Cross, where he currently serves on the Executive Committee. The same year, he was also appointed to the Advisory board of UC Irvine’s Center for Unconventional Security Affairs (CUSA). He is also on the Political Committee of the New Majority. Most recently, Yuri Vanetik has had several opportunities to serve in major positions throughout the United States. In 2016, he was appointed to the Board of Trustee for his law school, the University of California San Francisco. Not long after, in 2017, Yuri was appointed to serve as the National Finance Co-Chair for the Republican Party of the State of New York. The next year, he would go on to be appointed as Senior Advisor to the Rebuild America Now Political Action Committee, which is a PAC that for President Donald Trump. Because of his extensive and valuable experience in the political realm, Yuri Vanetik is oftentimes creates opinion editorials in a variety of major national and regional papers, including prominent publications like Forbes, The Daily Beast, Huffington Post, the Washington Post, Chicago Tribune, Los Angeles Time, Register, CNBC, and numerous others. Yuri Vanetik lives between Southern California and Washington, DC. He enjoys practicing martial arts, art, tennis, and spending time with his spouse. Yuri is also passionate about the different types of wine.